Situated in Leominster, Herefordshire, for over 25 years barringtonprint is a family run business that prides itself on its blend of experience and youth to provide a high quality of service in all areas. 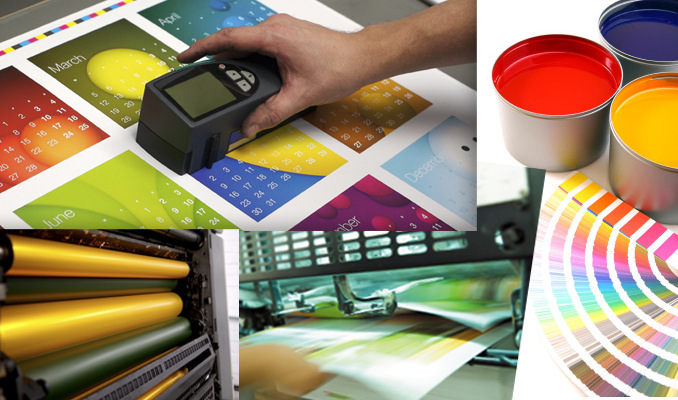 From Full Colour Printing in Herefordshire to Graphic Design and Website Design & Development throughout the UK. A large proportion of our work is sourced locally from areas surrounding Hereford, Worcester, Shrewsbury and into Powys. We are also capable of producing competitive printing across the whole world. Many of our larger print contracts operate globally and over the years we have adapted to cater for all of these needs. Litho Printing, Digital Printing & Large Format Printing! We host a complete range of printing presses that allow us to cover all aspects of digital, litho and large format printing. At the high end of our print machinery list we have a full colour SRA2 Komori press capable of running at 10,000 SRA2 sheets an hour, thats a whopping 40,000 printed A4 sheets every single hour!. At the smaller short run end of our print equipment we have an OKI digital press that allows us to print high quality digital work up to 320mm x 1200mm with NO MINIMUM QUANTITY!. In between these two machines we have a Hans Gronhi press to cover the middle ground between short run and large run print jobs. The Hans Gronhi press is a B3 press capable of printing up to 10,000 sheets an hour too but this machine has a quicker turn around time allowing us to bridge the gap between short print runs and long print runs. Large format prints are produced on EPSON 7800 large format printer. The end results of this 8 colour digital printing system our very impressive indeed. Originally bought as a hard copy proofing system to aid to our larger presses we quickly recognised the potential of this great printer. We regularly print high quality artwork for local artists, based around the city of Hereford and further afield into Herefordshire, on matte, silk, gloss, and canvas papers. This printer is also used to print large format posters ranging in size from A3, A2, A1 to anything up to 605mm by 15000mm long!. Our purpose built design studio in Leominster, Herefordshire creates an area where our design and development team can flourish when producing high quality artwork for both print and digital media. Mixing the latest industry standard software and technology with the latest trends and natural creativity over the last 25 years our design team have been successful in turning our customers ideas into physical and visual media products. Our design department are well experienced in receiving artwork from all sources, allowing them to create and adjust print ready artwork from software such as…Adobe InDesign, Adobe Photoshop, Adobe Illustrator, Adobe Acrobat, Quark Xpress, Microsoft Word, Microsoft Publisher, Microsoft Excel, Microsoft Powerpoint, Serif Page Plus, Corel Draw and just about any other design application out there! Regularly investing in the latest print and design technology and taking the time to train our staff in the latest print or design methods allows us to provide the highest quality products. Whether it be a short full colour print run of letterheads, leaflets, brochures or business cards for you business or a large run of press release information to promote your company, to a complete brand redesign and makeover of your website, we are able to cater for all your needs to the highest standards. The rise of social media has swiftly impacted the vast majority of mankind’s everyday lives. For example Facebook started out as a small network for college students to communicate, and is now rapidly becoming one of the biggest and most effective tools for businesses selling online. The ability to connect direct to millions upon millions of potential customers is not to be over looked. Thats why here at barringtonprint we not only experts at printing in Herefordshire but we are also capable for producing online and digital media to spread throughout the UK and beyond. For us it makes sense to assist your printed campaigns with an online campaign too. Our skilled digital media team can recycle the artwork used for printed materials and repurpose them for use online and for social media outlets such as Facebook, Twitter, Linked In and Google+ to name just a few.